WACO, TEXAS – The American Football Coaches Foundation® today announced that David M. Cote, Chairman and Chief Executive Officer of Honeywell (NYSE: HON), is the 2016 recipient of its CEO Coach of the Year® Award. This is the highest honor bestowed by the organization, whose inaugural recipient in 2006 was Jeffrey R. Immelt, the CEO of General Electric. Former Domino’s Pizza CEO David Brandon, former MidAmerican Energy Holdings CEO David Sokol, former HP CEO Mark Hurd, FedEx Corp. Chairman and CEO Frederick W. Smith, BP Capital L.P. Chairman and CEO T. Boone Pickens, NFL Commissioner Roger Goodell, ExxonMobil Chairman and CEO Rex W. Tillerson, AT&T Chairman and CEO Randall Stephenson, and Berkshire Hathaway Energy Chairman and CEO Greg Abel, received the honor in 2007, 2008, 2009, 2010, 2011, 2012, 2013, 2014, and 2015, respectively. Cote was selected for the award by a unanimous vote of the AFCF® Board of Directors. He will be honored at The Foundation’s CEO Coach of the Year Dinner, held at The Waldorf Astoria® in New York, N.Y., on November 28, 2016. 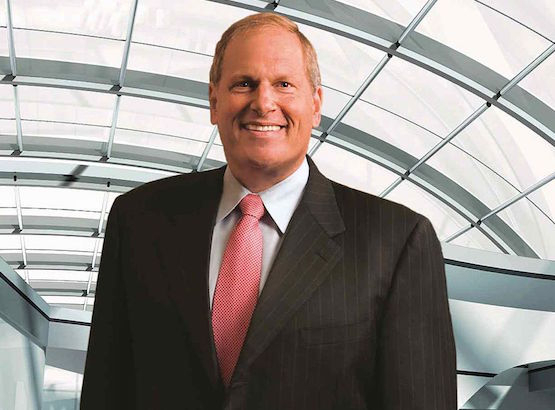 In 2002, Cote was named Chairman and CEO of Honeywell. Under Cote's leadership, Honeywell transformed from an underperforming company with three competing cultures (AlliedSignal, Pittway and the legacy Honeywell) to “One Honeywell,” a recognized global industrial and technology leader that is making strategic investments in products, processes, people and geographies, and has a strong financial track record, disciplined processes and an outstanding, mobilized workforce of approximately 130,000 worldwide. Cote led the implementation of key process initiatives that make Honeywell work better every day. The Honeywell Operating System (HOS), inspired by Toyota’s Total Quality Management, drives continuous improvement in sustainability, safety, quality, delivery and inventory. Velocity Product Development (VPD) ensures alignment across the functions that are necessary to successfully launch new technologies at the right time and at the right price, and Functional Transformation (FT) standardizes the Company’s administrative functions, including Finance, Legal, HR and IT, standardizing the way Honeywell works, improving quality of service and reducing costs. The Honeywell User Experience (HUE) is helping Honeywell design more intuitive and desirable solutions for the user, the installer and the maintainer. Also, Honeywell has a focus on software, where it blends a strong legacy in manufacturing physical products with software that connects solutions, improves user experience, efficiency and productivity, and is hugely important with the Internet of Things. In 2012, Honeywell introduced HOS Gold, a total business operating system that aligns all of these internal processes to grow sales, become more productive and deliver highly differentiated solutions to market faster than the competition. Under Cote’s leadership, the company has had a strong record of financial performance, consistently beating targets, outperforming peers and delivering a total shareowner return of more than 550 percent (12/31/02-today) vs. the S&P 500 which has delivered an approximate 200% return during that same time. Honeywell has made approximately 90 acquisitions, adding about $14 billion in sales, during Cote’s tenure and has also divested approximately $7 billion in sales through about 60 divestures. This has helped Honeywell build great positions in good industries globally, including aerospace, oil and gas, homes, commercial buildings, defense, industrial and utilities, transportation and more. The Company’s diverse portfolio focuses on addressing some of the world’s most critical challenges around energy, safety, security, productivity and global urbanization. A key pillar to that growth has been Honeywell’s focus on High Growth Regions (HGR). The Company is working to meet the demand of these rapidly-growing economies with established regional organizations that allow for local innovation, manufacture and support. In 2015, approximately 53% of Honeywell’s sales were from outside the U.S. and HGRs are expected to account for more than 50% of the Company’s growth over the next five years. Today, Honeywell operates about 1,250 sites in 70 countries. The Company has about 23,000 engineers and scientists, of which about 50% are software engineers who are helping Honeywell evolve into a cyber-industrial company and drive long-term growth. In 2015, Honeywell became the first and only large Western company to be 100% compatible with CMMI Maturity Level 5 across all global operations and in every business. Cote’s influence extends beyond the boardroom, as he was among a small group of CEOs invited to meet with President Obama early on in his presidency to advise on economic matters. Cote was later appointed by the President to the Simpson-Bowles commission in 2010 to develop recommendations to reduce the U.S. deficit. He is a member of the Economic Club of New York’s Board of Trustees, a Class B director to the Federal Reserve Bank of New York, and served as a founding member of the Campaign to Fix Debt’s steering committee in 2012-13. Cote was awarded the prestigious Horatio Alger Award in 2014, which recognizes dedicated community leaders who have accomplished remarkable achievements through honesty, hard work, self-reliance and perseverance over adversity. In 2014, 2015 and 2016, Cote was named Institutional Investor’s Best CEO in the Capital Goods/Industrial – Electrical Equipment & Multi-Industry category. He has been recognized as one of the World’s 30 Best CEOs by Barron’s for four straight years (2013-2016) and was named Executive of the Year – Conglomerates at the 2015 American Business “Stevie” Awards. In 2013, Cote was named CEO of the Year by Chief Executive, and was also presented the Australian Association’s Award for Excellence, named one of the 100 CEO Leaders in STEM by StemConnectors.org, and received the Corporate Leadership Award from TechAmerica. He received the Asia Society's Global Leadership Award, the Peter G. Peterson Award for Business Statesmanship from the Committee for Economic Development in 2012, and the Distinguished Achievement Award from B’nai B’rith International in 2011. Cote also received the Corporate Social Responsibility Award from the Foreign Policy Association in 2007. The funds raised from the CEO Coach of the Year dinner will support the AFCF’s education initiatives through the American Football Coaches Association’s publications, website and national convention. More than 6,000 football coaches from all levels attend the national convention, and more than 11,000 football coaches globally benefit through personal, technical, and leadership development. Because of The Foundation, football coaches on all levels nationwide pay minimal membership dues. The AFCF, a 501 (c) (3) nonprofit organization was established by the American Football Coaches Association in 1998 to fund its education mission. Its specific responsibility is to seek contributions from a broad range of donors – friends, businesses, corporations, foundations and trusts –to support and implement existing AFCA educational programs; and, to develop exciting and dynamic new initiatives that will serve the coaches, the student-athletes, and the schools they represent. Contributions generated by The Foundation will ensure that the coaching community will continue to have the finest possible professional development and educational tools, now and in the future. For more information on the AFCF and its programs, log on to the AFCF’s website at www.afcf.us.